Sitting in leather backed chairs around a U-shaped table, the room of top defense attaches from North and South American nations were too timid to ask the one thing they really wanted to know: Does a cybersecurity relationship with China preclude working with U.S. Cyber Command? So when a reporter finally posed that question to a U.S. Cyber Command official in attendance, the military officials dressed in different shades of green chuckled, then fell silent. "I knew it was coming,” joked Kimberly McClain. McClain, who is in charge of working with nations in the Americas for Cyber Command, was speaking during a cybersecurity conference put on by the Inter-American Defense Board Nov. 28. “We all partner with different countries across the world,” McClain said. “Nothing is going to preclude us from partnering with someone. But I say that with a lot of caveats to it,” she added, carefully. She paused and thought for a second. “It depends,” McClain summarized, definitively. So goes the largely unstated race between the United States and China to partner with countries in South America, a region with burgeoning cybersecurity growth. It is a dynamic that Cyber Command and military officials from these nations will discuss in corner conversations and in whispers, but rarely acknowledge in public. In the past two years, Cyber Command and the U.S. government have inked deals with Chile, Argentina and Colombia to cooperate in cyberspace and share information. In addition, NATO has signed an agreement with Columbia to be the alliance’s first Latin American partner. For these South American nations, who are just building their cybersecurity capacity, the choice between partnering with the U.S. and China can bring pause. Three military advisers and officials from the region pointed to the example of Trinidad and Tobago, who received Chinese equipment for a low price. It seemed like a great deal, but now, the country’s relationship with U.S. Southern Command is strained when it comes to cybersecurity, according to the officials. China, who is a permanent observer of the Inter-American Defense Board, was not in attendance during the meeting. Consider the case of Peru, a nation still building its cyber command. Leaders from there would rather partner with countries in the region, Capt. Enrique Braschi, of the Peruvian navy, said during the conference. He added his country does not have a cybersecurity partnership with China. Or think about the relationships for Brazil, one of the most advanced countries in South America when it comes to cybersecurity. Even political tension does not stand in the way of its relationship with the United States. Two weeks after revelations from Edward Snowden showed that the NSA was spying on President Dilma Rousseff in 2013, three Brazilian officials flew into San Antonio, Texas for electronic, psychological and cyber warfare exchanges, according to an official from the country. “Politics is a problem of the politicians,” the Brazilian official, who asked not to be identified, said to Fifth Domain. 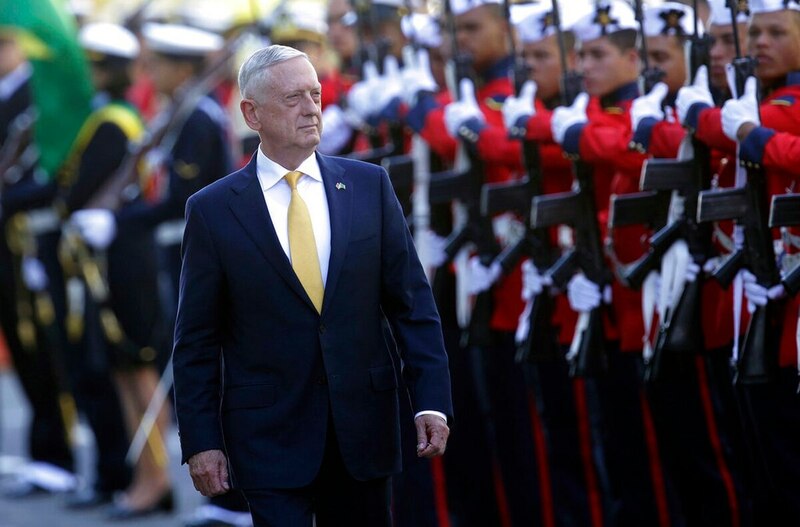 For U.S. officials, the red line for these South American countries' partnerships with Russia and China was laid out in an Aug. 12 speech by Secretary of Defense Jim Mattis.